The project management field is exploding, and the need for competent project managers has never been higher. Getting started in project management can reap big rewards: many positions pay upwards of six figures, and with the right certifications you can land a gig at a company you love. The Lean Six Sigma Project Manager Certification Bundle teaches you how to lead a collaborative team for profitable results. This bundle kicks off with a crash course in Minitab, a data-driven software package that identifies trends, insights, and problems within your company. Concepts like regression analysis and variance will come naturally after this class, and you’ll learn even more from nine different case studies. An essential Minitab certification awaits you when you’re all finished. The Lean Management class teaches you how to use Lean methodology to optimize processes, increase product quality, and maximize your company’s value. Once you’ve learned how to optimize end-to-end processes and limit your company’s wasted effort, you’ll be rewarded with another certification. The final Six Sigma Green Belt class uses case studies and real-life examples to make project management a breeze. You’ll discover the core principles of Lean Six Sigma to help businesses reach peak efficiency, then earn a final certificate worthy of your resume. 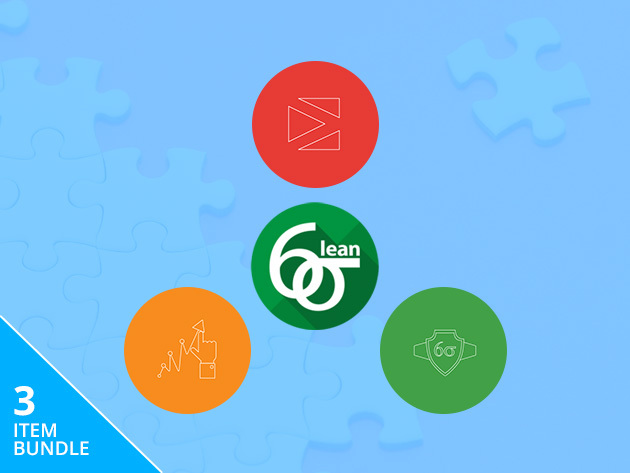 The Lean Six Sigma Project Manager Certification Bundle usually costs more than $2,000, but right now it’s on sale for $69 (96% off).